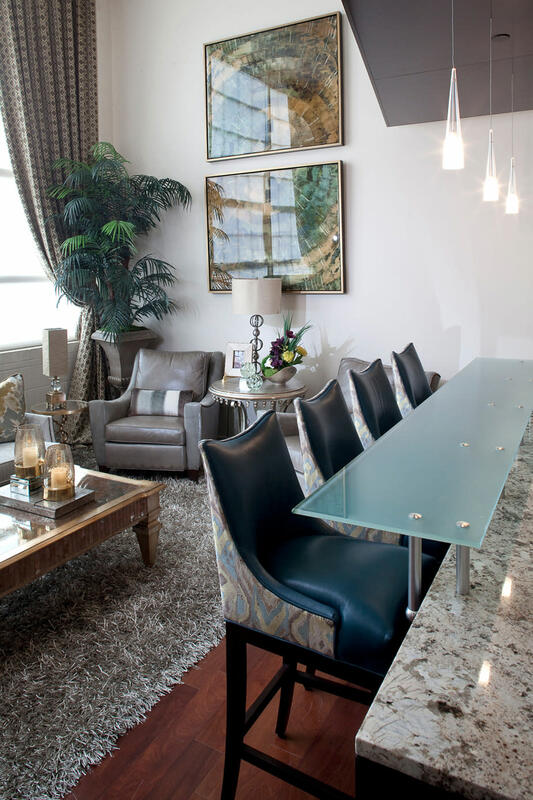 This sophisticated urban high-rise penthouse is unsurpassed in its intriguing ornamental finishes. 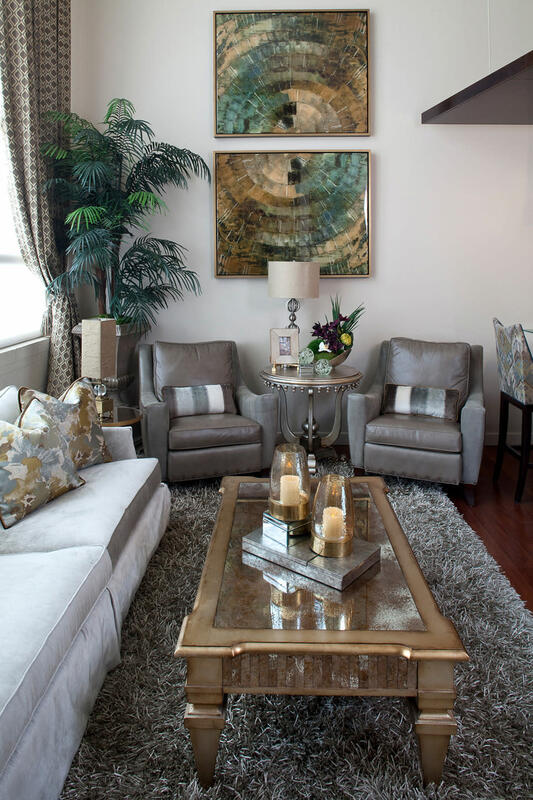 The coloration of grays and charcoals are topped with platinum and gold highlights giving the space a luscious feel. 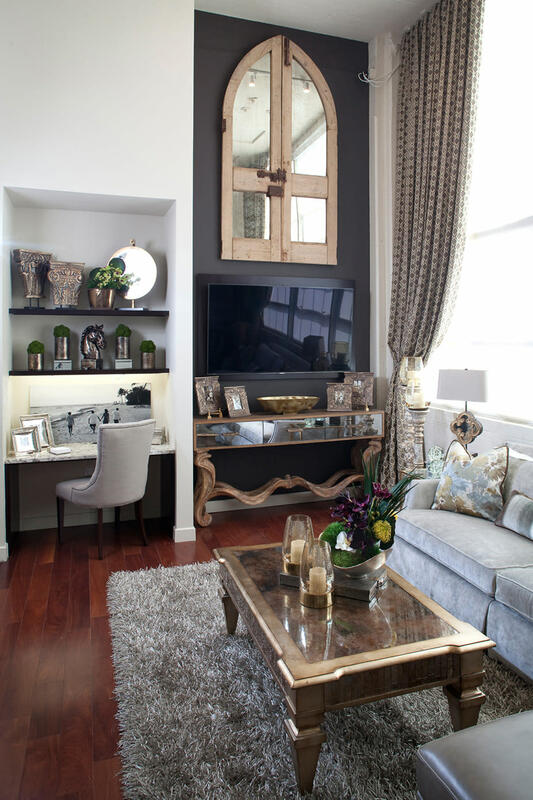 Its cosmopolitan suave surrounding makes the fashionable furnishings prominent in style. The soft champagne velvets mixed with leathers are embraced and embodied with premium comfort. 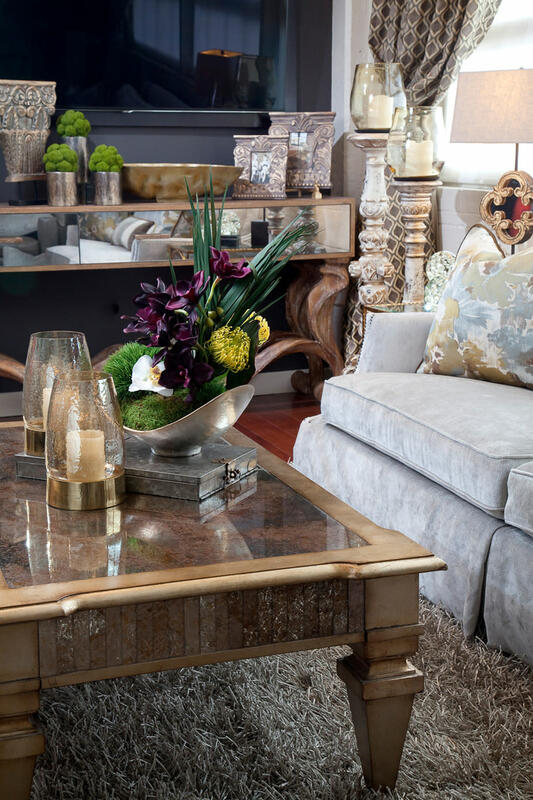 Adjoining the antique mirror and wood elements along with the progressive art pieces brings this high-end entertaining experience to the lifestyle of a well-deserved retreat. What is most intriguing is the icing in the adorned embellishments as finishing touches. The monochromatic yet colorful pallet allows for the speck of plums in arrangements to promote balance in the scope of the overall vision. This architecturally well-designed motif gives purpose and passion to the overall abode.